Quang has over 10 years of experience working in health informatics. 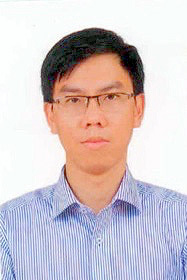 Before joining Vingroup in 2017, Quang worked as Health Information System’s Manager for Global Health Security Partnership at PATH – an international nonprofit organization with the responsibility for planning, development, implementation, monitoring and evaluation of Information Systems Strengthening related project activities. Previously, Quang was the lecturer at Public Health Informatics department – the Hanoi University of Public Health from 2006 to 2016, where he taught healthcare database administration, health information system, and some other courses. He also joined in the development of several information systems at the Hanoi University of Public Health such as e-learning, email system, and enterprise architecture. He also was the consultant for Vietnam Public Health Association, Hoa Phat Furniture, HQL Law Firm, etc., improving marketing activities for companies by using digital channels in combination with data analytical tools.